Habitat - Old fields, fence rows, woodlands, waste ground, marshes. 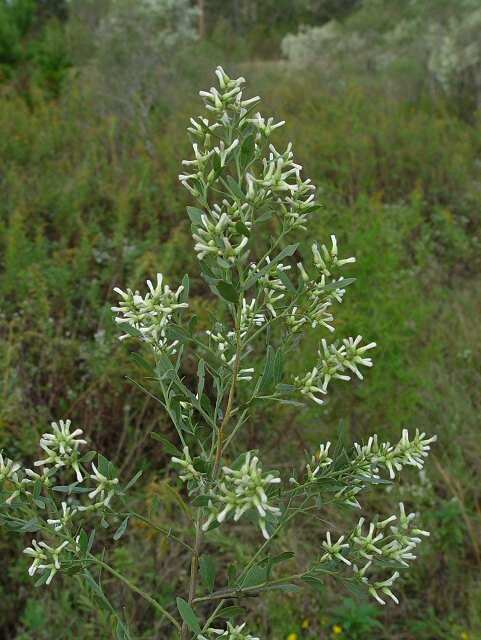 Other information - This weedy shrub can be found mainly in the southern half of Alabama. 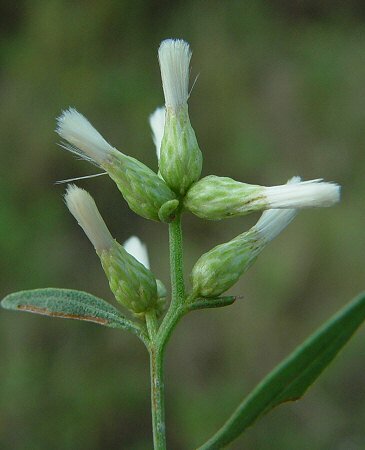 The plant can be identified even at quite a distance because of the large whitish pappus of the pistillate flowers which create a cottony look to the plant. 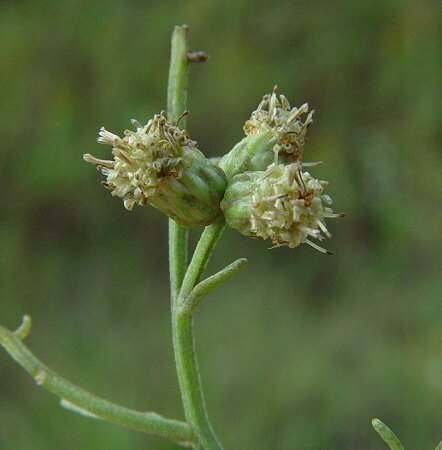 Plants are dioeceous meaning that male and female flowers are created on different plants. 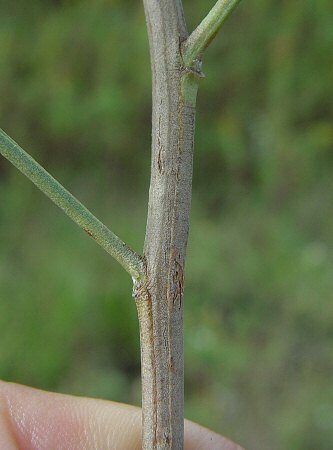 The staminate plants are smaller and much less noticeable than the pistillate plants. 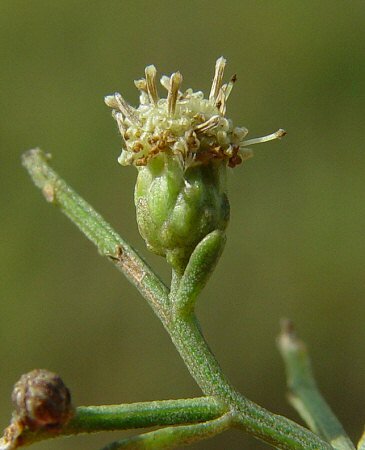 Another species, B. glomeruliflora Persoon, is similar but the flowerheads are sessile, rather than pedunculate. This later species is rare in Alabama. The genus name Baccharus was the name of another shrubby plant (spelled Baccharis) which was given in honor of the the Greek and Roman god of wine and revelry - Bacchus. The name was later transferred to the present genus. 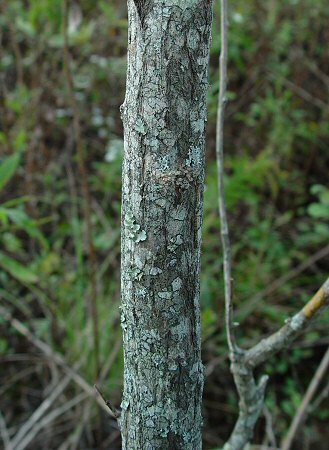 The species epithet halimifolia means "leaves of Halimus." Photographs taken near Andalusia, AL., 10-24-04.